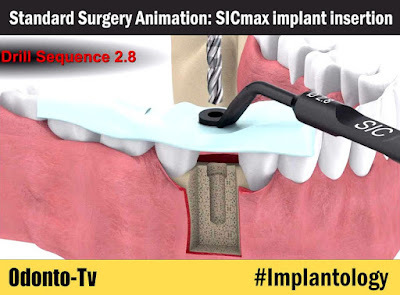 SIC implant systems set standards in contemporary dental implant therapy. They represent a unique synthesis of many innovative ideas, the influence of recent scientific discoveries and the requirements inferred from many years of practical work with implants. The construction features designed to increase therapeutic safety and effectiveness in conjunction with ultramodern manufacturing technology, high-quality technical design and incomparable precision guarantee above-average long-term clinical results and excellent aesthetic results. As a result of constant efforts to improve user-friendliness, not least through feedback from the Schilli Implantology Circle, the implantologist can experience the "intelligent functionality" of our implant systems in daily practical use.